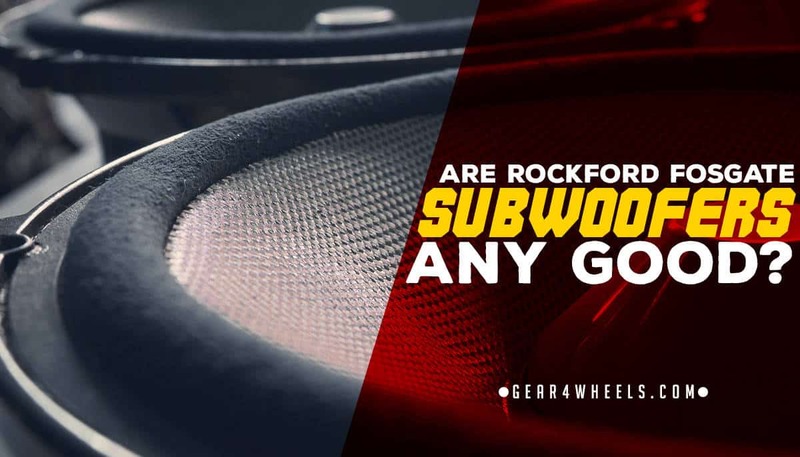 The incredibly popular manufacturer Rockford Fosgate has a wide variety of options when it comes to subwoofers... but are they any good? One of the earliest developers of car audio products, founder Jim Fosgate is credited with inventing the first car amplifier in 1973, when he initially founded Fosgate Electronics Known by the moniker Rockford Fosgate today, the company has continued in its founder’s original spirit of innovation despite his departure in 1981 when he went to work for Dolby Labs. The company now produces a wide array of speakers, amplifiers, crossover networks, and subwoofer kits for car audio enthusiasts around the world. Their products are often found in premium audio kits for major manufacturers, and their competition-grade audio gear is highly prized by bassheads and competitive car audio enthusiasts alike. Their subwoofers are standouts in the world of bass boosting audio, and they manufacture a wide range of products to suit every vehicle kit and budget. Let’s take a look at their primary product lines as well as their individual top sellers on the market today. The entry-level product line for Rockford Fosgate subwoofers, Prime speakers are engineered to provide for the low-frequency power needs of anyone looking to throw down some heavy bass on a budget. They are first and foremost about producing the best quality, distortion free bass value for the money. They are grille-less and not necessarily the prettiest looking subs you can mount in a box, but most speakers in the series can handle up to 500-watts, which is exceptional for an entry-level subwoofer. They come in 10” and 12” cone size, and both sizes offer a shallow mount variant for those looking to save a little cargo space/trunk space in their vehicle. Bassheads looking for some decent thump on a budget would do well to give these subwoofers more than a casual once over. As Rockford Fosgate’s flagship line, these subwoofers come in a wider variety of sizes and offer more in the way of cosmetic appeal than their Prime series cousins. They also run cooler than the Prime line, and use more sophisticated and high-quality lead and cone materials, providing better audio fidelity and reliability under continuous use. They still max out at 500-watts like the Prime line, but the difference is they generate less heat and offer more distinct, thunderous bass thanks to their better construction. These subwoofers are aptly named, as they do make the bass performance of your car audio significantly “punchier” than most subwoofers in their class. Additionally, these subwoofers are available in cone diameters as small as 8” and as large as 15” with regular and shallow mount alternatives. This versatility gives bassheads a little more room to work with for their trunk or cargo area bass kit, and for regular listeners who just want to add a little more boom to the car stereo in their daily driver. For those who plan on shifting the tectonic plates beneath their neighborhood or at car shows, these are subwoofers you want to buy. 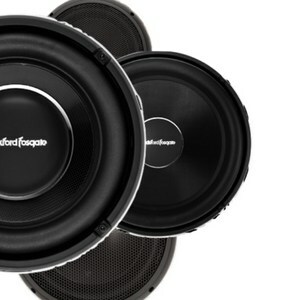 They are Rockford Fosgate’s top of the line product, and they carry a price tag to match. However, what you get for your money is a mind boggling 3,000 watts of continuous power handling that maxes out at 6,000 watts. I would like to add that that is per subwoofer, not a per-pair rating. I’m also fairly certain that these subs with the right amplification could also be used for riot control in times of civil unrest. I’m not even kidding, these subwoofers are so powerful at full capacity that every bass hit feels like a full-body impact. These subwoofers are louder than the thoughts in your head, and they are made of competition grade materials to withstand even the harshest and most ridiculous of power handling demands for any amount of time. The sizes for these subs range from a modest 10” cone diameter to the 19” “SuperWoofer”. If you want to run with the big dogs at basshead competitions, these are the subwoofers you buy. Nobody else is bringing any kind of bass firepower that can compete with these bad boys. 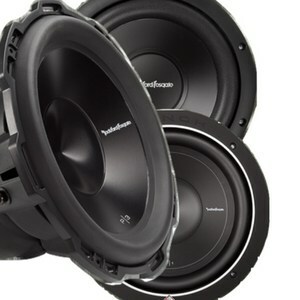 For those who don’t care about looks and just want to throw some heavy bass, these 12” subwoofers are an excellent value. Their frequency response range is exception for a subwoofer in their class, and they are made of high performance materials that make them both durable and reliable. These subs are loud 12-inchers with serious boom. They are a big step up from the power handling if most 12” subwoofers, and they are easily one of the best mid-tier upgrades you can make for your car stereo to add those thunderous lows. At 4-Ohms of impedance, these subs are going to heat up fairly quickly, so you will need to make sure that you have a plan for ventilation and cooling to keep them from wearing out as fast. They can handle a lot of wear and tear, but if you don’t have a good plan for keeping cool air circulating, they may not last you as long before they need to be replaced. Need to be mounted in a bass box with good ventilation or a cooling system. 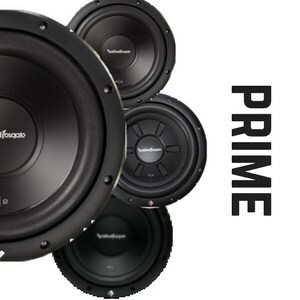 An excellent choice for those who want to add a little thump to their car audio system without breaking the bank, these 10” subwoofers are reliable performers built to Rockford Fosgate’s exacting quality standards for longevity and durability. These are some fairly loud subs for their size, and they definitely put the rumble in your trunk in terms of overall performance. The Kevlar reinforced cones are built to last, as are the NBR woofer surrounds, so standing up to regular high volume pounding is not going to be an issue for these subs. If space for the subwoofer box is an issue, but you still want some quality subs that will stand up to regular heavy use, these are a great option. There is not as much thunder in these subs as their 12” counterparts, and if you are looking for competition-level subwoofers, these aren’t them. Additionally, the impedance is also 4-ohms, which means heat and ventilation need to be taken into account when constructing your bass box. Higher impedance means higher heat and a need for proper ventilation. When you want a lot of bass in the smallest possible space, you need subwoofers like these shallow mount Punch-series 10-inchers from Rockford-Fosgate. They’ve got the guts to deliver the goods, and do they ever deliver. First of all, these are some v﻿﻿ery loud shallow mount subs. Often users find that shallow mount subs are a compromise between space and performance, but not for the P3SD4s. They add some very nice boom for the buck, and they only take up about half to a third of the space other 10” subwoofers in their class occupy. These are one great value if you want bass that takes up less space. Ummm...they have a low frequency range that is 10 Hz higher than their 10” standard depth subwoofers? Don't lie to me. You can't hear a 10hz difference. But hey, if you do, Focal is what you're looking for. Frequency range is slightly higher than comparable subs in their product line and class. The absolute smallest you can go with the Punch line, these subwoofers make an excellent addition to anyone’s car stereo who likes to feel their bass while they drive. What they lack in size they make up for in thump, and for its size and power handling this is definitely a great tiny sub. When you need to build your bass box as small as possible without sacrificing any of your much-sought-after thunder, you get these shallow mount 8-inchers. Not only do they take up a very small amount of mounting space, but they also can still make your ride shake enough to satisfy most car audio enthusiasts. Compact car owners and smaller sedan drivers will love these subs, as they let you get the performance of much bigger bass drivers without taking up as much cargo or trunk space. These are really fantastic subwoofers. If I were to have one criticism, it would be that these subwoofers may not shift as much air as cones with a larger surface area, so they won’t necessarily give you as heavy a bass boost as maybe some 10” shallow mount speakers, but very few listeners are going to hear or feel a difference. All in all, I give RF subs the G4W seal of approval. Their entry level series offers great value for money, while the Power series is what any basshead would love.